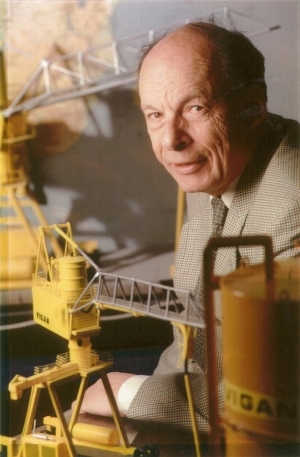 It is with great sadness and emotion that Belgian company, VIGAN Engineering S.A., has announced the death of Lucien Beauduin, former CEO and Honorary Chairman of VIGAN Engineering, in March 2019, at the age of 87. Headquartered in Nivelles, an industrial area about 30 kms south of Brussels, VIGAN now manufactures a complete range of pneumatic and mechanical conveying systems for bulk products. After his education as agricultural engineer (AIGx) followed by an MBA in the USA, Lucien Beauduin's career was built in a wide variety of sectors. He started in the sugar beet industry at the Raffineries Tirlemontoises. He left a secured position to start a new venture with his son Charles Beauduin in the textile and electronic industries. In 1989, Mr Beauduin took over VIGAN and served as Chief Executive Officer for 15 years. In 2004, he passed the operational leadership of VIGAN to Nicolas Dechamps, the current Managing Director, and started a new career in the banking sector. VIGAN is especially indebted to Mr Beauduin for his numerous investments in the factory in Belgium to improve and industrialize production. It is undoubtedly thanks to him that VIGAN has become a world leader for pneumatic unloaders. He will mostly be remembered for his vision, his charisma and leadership in sales and marketing. More than a seasoned businessman, Lucien Beauduin was recognized by everyone as being passionate, nonconformist, benevolent, and anxious to help others. The VIGAN team will miss him deeply and offer its deepest condolences to his wife and family.